Cherries are not only one of the most beautiful tree fruits, they are also delicious and have many health benefits! They are a good source of Vitamin C and fiber, high in antioxidants, and low in cholesterol, fat, and sodium. 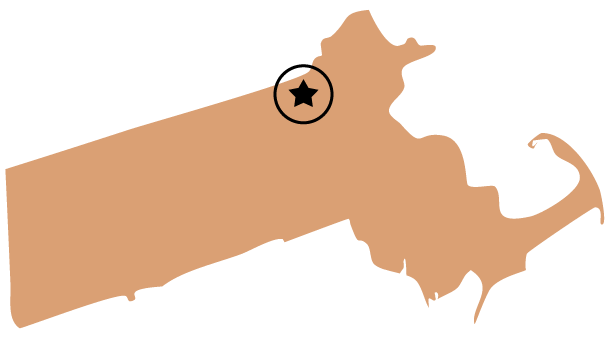 Unfortunately, cherries have a very short season here in Massachusetts and are only available for a few weeks, typically from late June to mid-July. The cherry picking season can be further reduced if rainstorms occur while the fruit is present, since cherries can split. 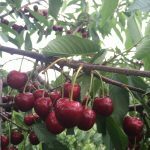 So, if you’d like to pick your own cherries, now is the time! At Parlee Farms, we have almost two acres of full-dwarf cherry trees, which are easier for our pick your own customers to reach all those sweet cherries. While we have five varieties of sweet cherries, the primary varieties we offer are Black Gold and Regina. We like these varieties because they can take some pressure from the rain. Black Gold cherries are self-pollinating which means that we can still have a crop even during a poor spring pollination period, when it is too wet or cold for the bees to work. The Black Gold variety also has a late bloom so there is less of a threat that an early spring freeze will kill the blossom. If you’re planning a cherry picking trip, it’s important to know that cherries are very perishable and do not ripen after picking. When picking cherries, pick only fully ripe cherries, leave the stem on, and be sure to refrigerate them soon after purchase. They can remain fresh in the refrigerator for almost a week. Like all fruits, do not wash them until you are ready to use them and wash before eating. In addition to pick your own, our sweet cherries are also available in pints in our farmstand. 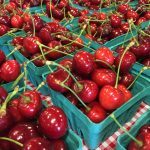 If you want to pick sweet cherries at Parlee Farms, be sure to check https://parleefarms.com/farm-news/ for picking conditions, hours, and pricing. We hope that you are able to enjoy our sweet cherries in the short time they are available!